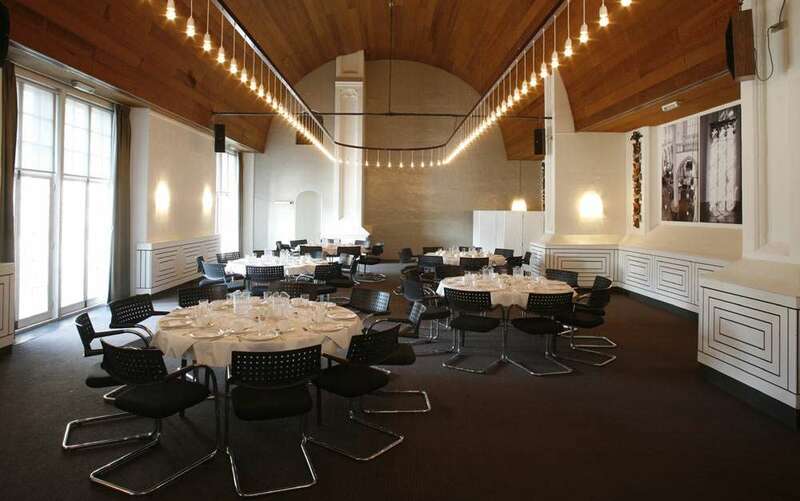 De Eggertzaal (Eggert Hall) and Kerkmeesterskamer (Wardens’ Chamber): ideal for meetings, conferences, presentations, lectures, dinners and receptions. De Eggertzaal at De Nieuwe Kerk is an ideal location for meetings, conferences, presentations, lectures, dinners and receptions. This stylish hall overlooking Dam Square and the Royal Palace will give your gathering an exclusive character. De Eggertzaal can be accessed from the restaurant ’t Nieuwe Kafé on Damzijde. The hall is accessible by lift and has facilities for people with disabilities. In addition, there is a cloakroom, sound system and projection equipment. Catering for De Eggertzaal is provided by Ms De Jong of ’t Nieuwe Kafé. For more information about room hire (by the day or half day) or to request a brochure please contact the booking office by calling +31 (0)20-626 81 68 or sending an email to eggertzaal@nieuwekerk.nl. To request a reservation, complete the following form. De Kerkmeesterskamer at De Nieuwe Kerk, also known as the ‘Royal Suite’, is ideal for small receptions, meetings and dinners. The chamber is accessible to people with disabilities and has a cloakroom and projection equipment. Catering for De Eggertzaal is provided by Ms De Jong of ’t Nieuwe Kafé. For information about pricing and availability, please contact the booking office by calling +31 (0)20-626 81 68 or sending an email to eggertzaal@nieuwekerk.nl. To request a reservation, complete the following form.